Acupuncture is proven by modern research to improve IVF outcomes by enhancing blood flow and circulation to the ovaries and uterus, reducing side effects of medication as well as reducing stress during the IVF process. Incorporating acupuncture along with your fertility treatments can maximize your chances of success. We promote small lifestyle changes that can enhance your fertility, reduce stress and optimize egg quality to increase your chance of conception. With proper supplementation egg quality can improve in 60 to 90 days. Fertility treatments can be very stressful. We help address stress during the process by stress reduction techniques at each phase of your cycle. You are going through a lot with your fertility treatments. We keep our treatment strategies simple to improve your outcome. Our IVF treatment plans are timed along with your cycle. This way we maximize each phase of your cycle. 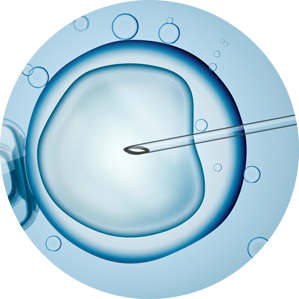 We have specific treatment plans for both fresh and frozen embryo transfers. Our team is committed to helping couples overcome challenges with conception. We take a comprehensive approach to patient care integrating evidence-based protocols to increase your success. Our goal is to help you achieve your dream of having a happy, healthy baby. Acupuncture treatments – Specifically timed acupuncture treatments to optimize blood flow and circulation to the uterus and ovaries and to encourage embryo implantation. Reduce Stress – Reduce stress and side effects of fertility medications during your IVF cycle. We use powerful self-guided stress reduction techniques at each stage of the process to keep your mind and body calm and relaxed. Will anything you do conflict with my IVF medications? Absolutely not, during IVF cycles we do not use herbal supplements without consultation with your fertility doctor first. Acupuncture is extremely effective during this time to promote blood flow to the reproductive organs, reduce side effects of gonadotropin medications as well as reduce stress and anxiety during the IVF process. When is the best time to start acupuncture for my IVF cycle? The short answer, anytime. Ideally we like to start seeing you 60-90 days before you begin your IVF cycle to have the biggest impact on regulating your cycle and improving egg quality. Acupuncture can have a positive effect on your IVF cycle at anytime. Is acupuncture safe when I do become pregnant? Absolutely! Acupuncture is recommended at a regular frequency during your first trimester of your pregnancy and can help with anxiety, nausea and vomiting, fatigue, headaches and heartburn to name a few. How do I know you are my best choice for fertility acupuncture? We are committed to helping couples overcome challenges with conception. We take a comprehensive approach to patient care integrating evidence-based acupuncture to increase success. Our goal is to help couples achieve their dream of having a happy, healthy baby. How often do I come in for acupuncture? Depending on your individual situation treatment could be recommended once to twice per week. Monica is so knowledgeable and open about infertility that she made the struggle easier to handle as well as taught me so many things I didn’t know about my own body. I have recommended friends to her and will continue to as her professionalism, knowledge and humour is amazing and will help everyone in the fertility struggle understand just a little more. After struggling with secondary infertility for 2 years I began seeing Monica we had already had 2 failed IUI attempts. Following her advice and treatment recommendations including supplements I am thrilled to say that we conceived on our 3rd IUI attempt. Everything about our last cycle was so different from the first 2 cycles that I can honestly say its because of Monica and her vast knowledge surrounding fertility that we finally conceived and I am now pregnant with 2 very healthy babies! As if getting pregnant wasn’t enough of a reason to sing her praises, she also got rid of my heartburn that I had suffered with daily since being pregnant with my 1st child. I used to pop tums like they were going out of style and I have maybe had 3 episodes of mild heartburn in the last 4 months. Monica has a such a outgoing and friendly nature about her that she instantly makes you feel like you have been friends for years. I am so grateful that I took the chance and began seeing her, I cannot recommend enough that anyone trying to get pregnant goes to see her!